What the heck is happening in Brazil, why and how is going to end. By a Brazilian. Brazil is known for its happy, hard-working and welcoming people. Brazilians are obsessed with soccer, they have nice beaches, the most beautiful women in the world and, so far, a strong economy, one of the few that hasn't suffered terribly with 2008 crisis. Brazil will host Fifa 2014 World Cup and 2016 Olympics games. Well, that’s the Brazil you knew. What we see now is a lot of protests for couple of weeks in several cities. Dozens of thousands of people going to streets to protest, closing avenues, making noise, claiming for change. What happened? What made all that change? It was all really simple, actually: the bus fare of São Paulo city was raised in R$ 0,20 (~U$ 0,10) by the government. Some studies indicate it was a fair raise, below the inflation; others, considering a historical perspective of the last decades tell us it was above inflation. Whatever way, it wasn't an overwhelming raise; nothing completely out of proportion. Just the fact it existed bothered the population, who is used to inefficiency and bad quality in public transportation. 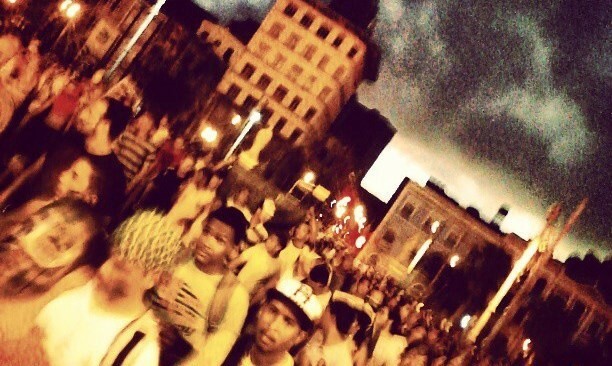 Against the raise, protesters went to the streets of São Paulo. A simple parade, a lot of noise to draw attention of the government. It was then that all hell broke loose. Too much violence, I’d say. The police came after the protesters with overwhelmingly-out-of-proportion force. I’m not stupid: I know how police officers can be hurt by protesters, starting the conflict; however, in this case was ridiculous: there are several dozens of videos around showing police attacking press, innocents, bystanders, everyone. The people who were supposed to be protected, after all. Some videos are so ridiculous that give me rage (and fear) by watching: protesters marching and singing “no violence” at the street, when the police troop comes around the corner and starts shooting everybody. The police truculence spread in a few hours through social media (the synchrony with the releasing of Facebook tags came in handy) and that was the trigger. People started to organize more and more parades in several cities: Rio de Janeiro, Brasília, Belo Horizonte, Curitiba, Recife. In some cases, the reaction from the respective state police was similar, what has driven people crazy in internet and inspired more and more movements, getting more people to the streets. In the recent times, you probably never heard about social disturbance in Brazil. It seems that’s not characteristic of the last two generations, specially with the economy growing well in a steady pace and with a populist/assistentialist government. People’s revolt was not about the 20 cents raise. The Brazilian revolt is about the Brazil and how it was built corruptly in the past 4 decades, especially after the fall of the military regime. It’s about paying one of the biggest taxes in the world, but not having hospitals to go for, not having decent public transportation, not having safe streets neither good education. It’s about having all this huge, expensive and overpriced soccer stadiums through the country, while people struggle with a U$ 300 minimum monthly salary and suffer without a State to offer basic services. Sure, the current economic situation played a major role in this case too. Inflation, a ghost that has haunted the country in the end of last century, came back strong, after a brief moment when it seemed Brazil would recover faster and well from 2008 World Crisis. The structural reforms to host the sport events. A really strong factor. In the past 3 years, the value in notes circulating grew 40%. The government, noticing it didn't have money for the works necessary, just went on and printed more and more money. All that without mentioning the pornographic raise of 60% the parliamentarians gave to themselves, what created a cascade event raising the payment of most politic employees in Brazil. As I've already pointed out, the last two Brazilian generations or so were really passive. I mean, cattle-like passive. We had the biggest scandal of the democracy with Parliamentarians stealing hundreds of millions of reals through corruption and the population took that lightly. Main figures went unpunished (and still are) and for your shock: some of them got reelected. Renan Calheiros, one of the corrupted, is even now the head of Senate. So, when we saw the people going to protest for something that started as a 20 cent raise in the bus fare, it was a shock. The initial police truculence (the trigger) in managing the protests. Public prosecutor saying on his Facebook that’s okay to kill protesters. PEC is the short version of Projeto de Emenda Constitucional - Constitutional Amendment Project. The PEC-37 removes the right of initiative, in terms of opening judicial processes, from the Public Prosecution, making them submitted to the Police.Since the Police is already submitted to other powers, that will mean no more independent regulation of the actions of the government. The PEC-33 will submit the Supreme Tribunal Court, the Tribunal responsible to judge processes directly related to Constitutional cases, to the Congress. The proposition violates the principle of independence among Powers (executive, legislative and judiciary). All without mentioning the Congress is the most corrupted sector of the Brazil, while the STC, on the other hand, seems to be a honest to good sector and has the good grace of the population. So, an imminent disaster. Corrupted politician as Head of Senate, a really strong political position for someone who should be at the jail. The Health Global Organization has already established homosexuality as a variation of human sexuality not a pathological condition almost 20 years ago. Some legislators here are considering a law project that would allow therapy for changing the sexual orientation. As if it was a condition that should be returned to normality. 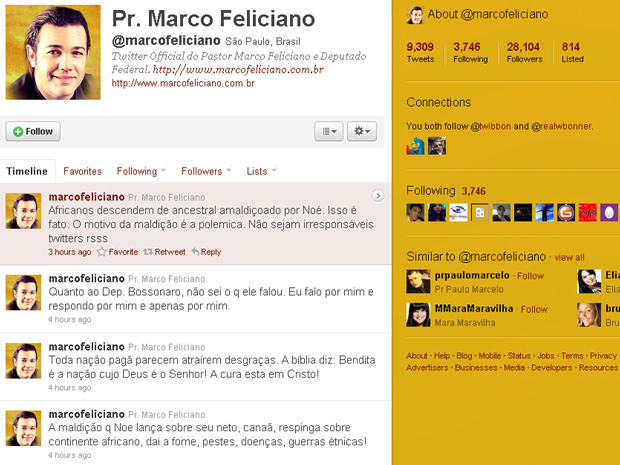 The project was approved by The Human Rights Commission of the House of Representatives, a fundamentalist protestant . This Chamber is the equivalent of the House of Representatives. That guys is known by saying women shouldn't have the same rights as men and black people from Africa are cursed by (his) god. The crazy expenses in organizing the World Cup. This was already explained by another Brazilian fellow. The president just went to TV and made a official announcement. As expected, it was evasive. 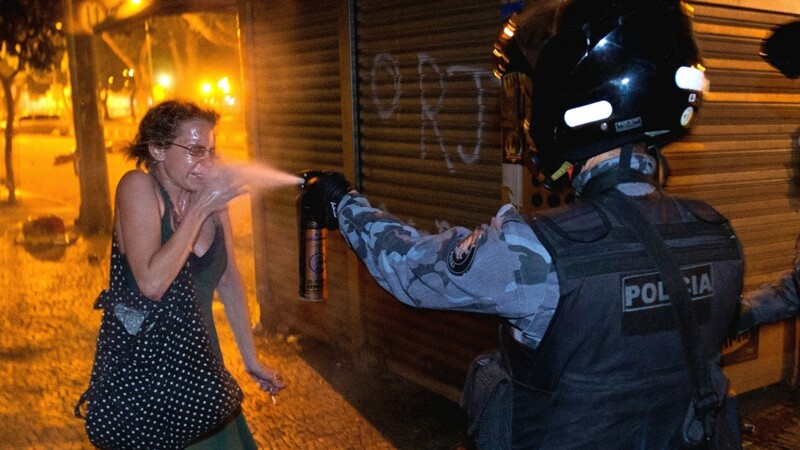 The thing is that Brazil is a democracy. A well formed and structured democracy. Yes, lots of corruption and imperfections, but still, a democracy. 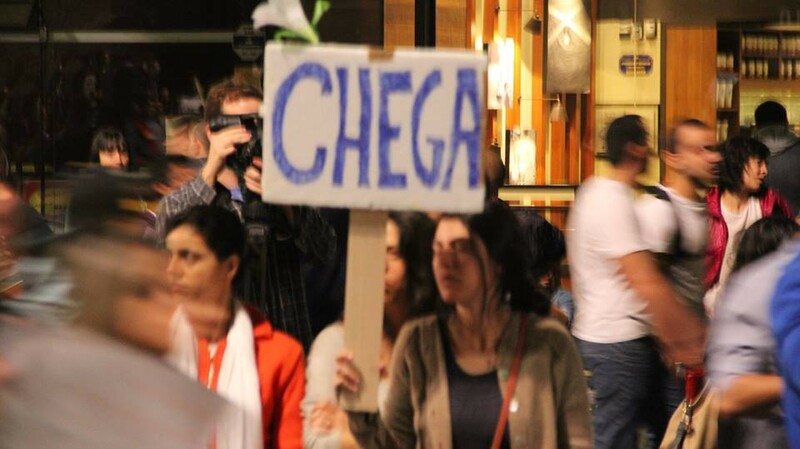 At this point the Brazilian movement differs from the Arab Spring, where most people were fighting against a oppressive governments, a lot of which were dictatorships. In the Arab Spring cases, popular uprising was able to make permanent changes, like throwing people away from the power.In Brazil, this won’t happen. Popular uprising can only show how pissed off the population is; the real change can come next year, in the elections (especially the presidential one). It’s hard to tell what’s gonna happen from now on. The movements will probably lose force or dilute away in the middle of violence from vandals and sacks. Since there’s no political flag behind the movement(people were rejecting political flags, probably because the average Brazilian was too traumatized with politics anyway), it’s hard that all this force will be translated in the elections. 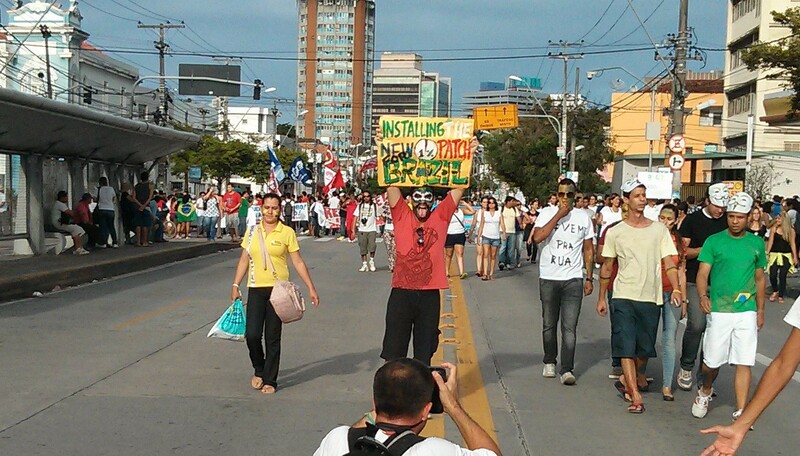 I don’t know, I went to the streets to help the march in my city, Recife. More than 120 thousands of protesters in a Thursday afternoon. Deep down, I know this will be inefficient in the long term, but I felt like it’s part of my duty as citizen to show my dissatisfaction with all the wrongness around. Now I can only hope we can educate people enough to get decent changes in the election next year. It’ll be unique in Brazilian history and interesting to watch. Paulo Ribeiro is a Brazilian blogger and entrepreneur. He talks about strategy, lifestyle, personal developement and success at Estrategistas.com.